From vine to bottle, Paul Schwenk has his own hand in the work and art of creating the award winning wines of Schwenk Wine. Beginning with heirloom recipes handed down from his great-grandfather--a wine-maker from Germany--Paul has evolved his own unique blends of grapes and other fruits to create the Schwenk collection of wines. Paul and Cathy Schwenk, owners of Schwenk Wine Cellars, dreamed for years of operating their own winery. Recently their dreams formed into reality on their small farm where Paul has been growing grapes and making award-winning wines since 1983. 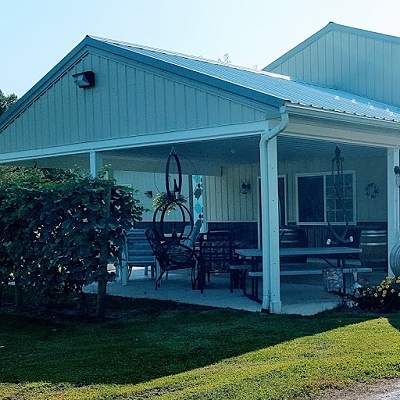 With Cathy close to retirement, the couple built their cozy wine-tasting room so people from near and far could stop in to sample and purchase the full line of Schwenk wines. 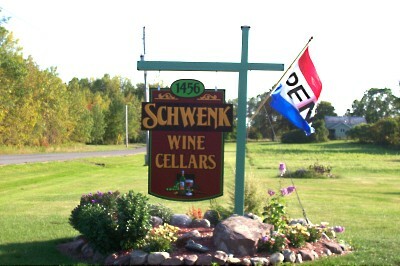 The Schwenk farm and vineyard is located in Kent, New York near the shores of Lake Ontario. Warm breezes blowing in off the great lake in winter, and cooling breezes during summer, create a microclimate that is favorable to grapes such as cayuga, baco, concord, and others used in the Schwenk wine recipes. 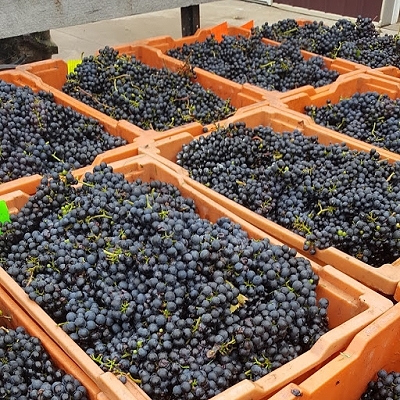 Carefully tending the vines and fruit during growing season, followed by painstaking care of the juices, as they become delicious wine ensures the Schwenk wines measure up to Paul's strict standards for excellence and quality of the final product. Paul is personally involved in every step of the winemaking process from planting the vines to harvesting the fruit, blending and fermenting the juices, and bottling and labeling the finished product. As a result of his exacting standards, when you taste a Schwenk wine you can literally taste the distinct though blended characteristics of each type of fruit used in the recipe. 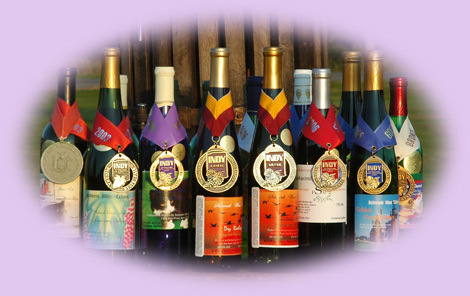 Come to Schwenk Wine Cellars and discover the sumptuous flavors of award-winners such as the Schwenk Dry Riesling, Baco Noiŕ, Stone Bottom Cayuga, and the holiday favorite " Santa's Secret" ... to mention only a few. Open year round, from spring to fall and even through the cold winters of Western New York, Schwenk's offers a wonderful opportunity for people in Orleans County to educate their pallets on award-winning, affordable wines in a warm and friendly, approachable environment. Please be sure to check out our current wine list; you may order any of our wines by phone or fax. Come by the winery for a wine tasting, where you will feel both welcome and comfortable whether you are an experienced wine connoisseur or completely new to the adventure of wine tasting.